This is the fourth and last book of Aspect-Emperor,the sequel series after The Prince of Nothing. You will need to read The Prince of Nothing books for the story to make sense. The starting point is The Darkness That Comes Before. 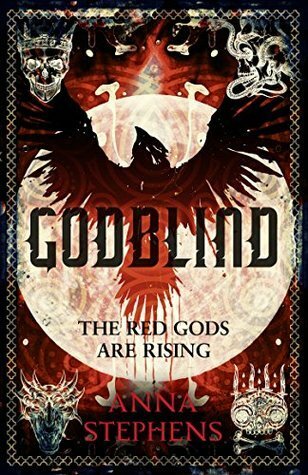 I should have written this review months ago, but I have been in ill health and busy with a lot of other things, and then I got into SPFBO and didn’t have the time and energy to wrap my head around this. The Unholy Consult is not an easy one to review, it is quite intense and packs a few punches to the gut to say the least. I didn’t want to rush it. 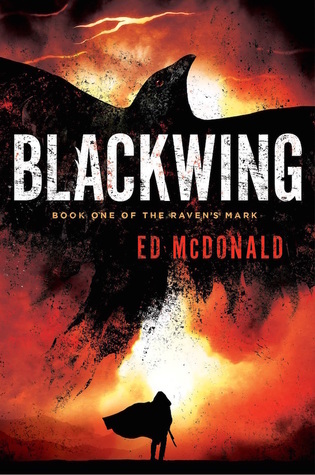 The first 200 pages was an unrelenting force wind of grimdark, comparable to Category 5 hurricanes in terms of darkness, gore and abject savagery. 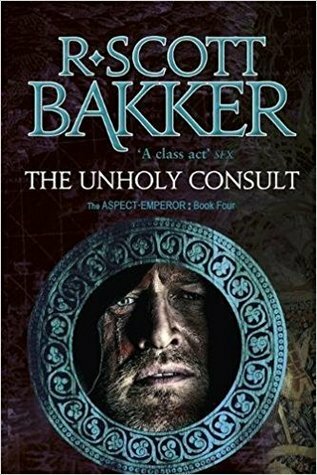 I had been wondering if Bakker could outdo himself after six extremely dark books, and boy he did! These parts are definitely not for the faint of heart and will disturb even a seasoned veteran reader of grimdark. There are some major reveals and twists I didn’t see coming. The Consult is laid bare, but not in the way I thought. Not at all! To be honest, I found the reveal about the Inchoroi a bit of a letdown, but now that enough time has passed to process it all, what’s behind the grand scheme is quite fascinating. Only I didn’t realize it at the time, but after I thought about it for a few weeks. The twists come like a tornado and spin your head around. That is as much as I can tell without spoiling anything. Akka, Mimara and Serwa parts were among my favorites, and Akka levels up in badassery here. Serwa’s heroism will make you tear up. 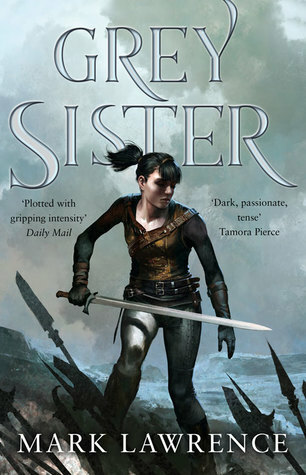 She got on my nerves a few times in the former books, but her epic acts made me forget about that rather quick. 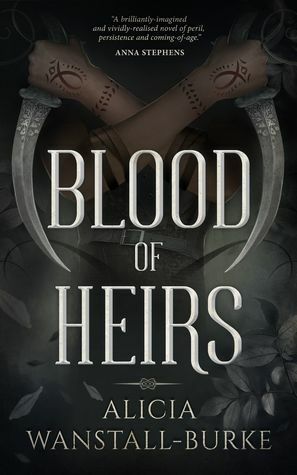 Kellhus and Golgotterath chapters balance out the extreme savagery with intelligent strategy, and Akka-Mimara chapters as well as Serwa’s killer scenes offer the emotional depth, page turner action and great insights. Ishterebinth survivors joining the Great Ordeal was quite a bit of fireworks, along with the Nonmen’s tragic past echoing its glum tones. The Darkness that Comes before hangs over the Great Ordeal like a black veil of horror, and I felt its strong effect on pretty much everyone. The best and worst of humanity gets exposed in all its glamor and depravity. The most innovative aspect of the book was the scenes written from the POV of Malowebi as a decapitant. A character without a physical body is no mean feat to pull off and yet another beautiful display of Bakker’s genius. No truth spoken is true simply because words have consequences, because voices move souls and souls move voices, a great radiation. This is why we so readily admit to corpses what we dare not confess to the living. This is why only the executioner can speak without care of consequences, Our speech finds freedom only when the speaker is at an end. Truth becomes ignorance when Men make gods of Deceit. Ink affords all souls the luxury of innocence. To write is to be quick where all else is still, to bully facts with words until they begin weeping. Men, the cracked vessel from which the Gods drank most deep. The Unholy Consult doesn’t start with a bang, but certainly ends with one. What’s even better is, there are the two short stories called Atrocity Tales (which were previously published on Bakker’s blog) and a 150 page Unholy Simlarillion encyclopedia in the end of it, which is packed with more sweet details adding to the one in the end of The Thousandfold Thought. This whole package was a great medicine for alleviating the massive book hangover. Now I will be counting days until the first book of next series comes out. 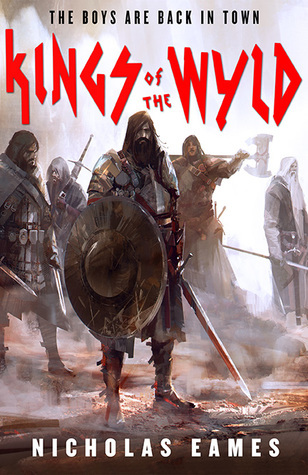 Verdict: The Unholy Consult is the grimdarkest of all grimdark books published to this date, featuring profound horrors and some incredibly epic scenes. You are missing a huge deal if you aren’t reading this series. 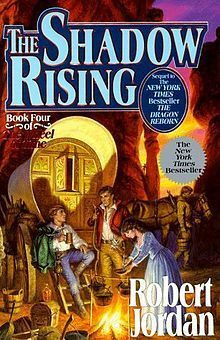 The Second Apocalypse will come to be known as one of the milestones of the fantasy genre, its criminally underrated status nothwithstanding. Just mark my words.